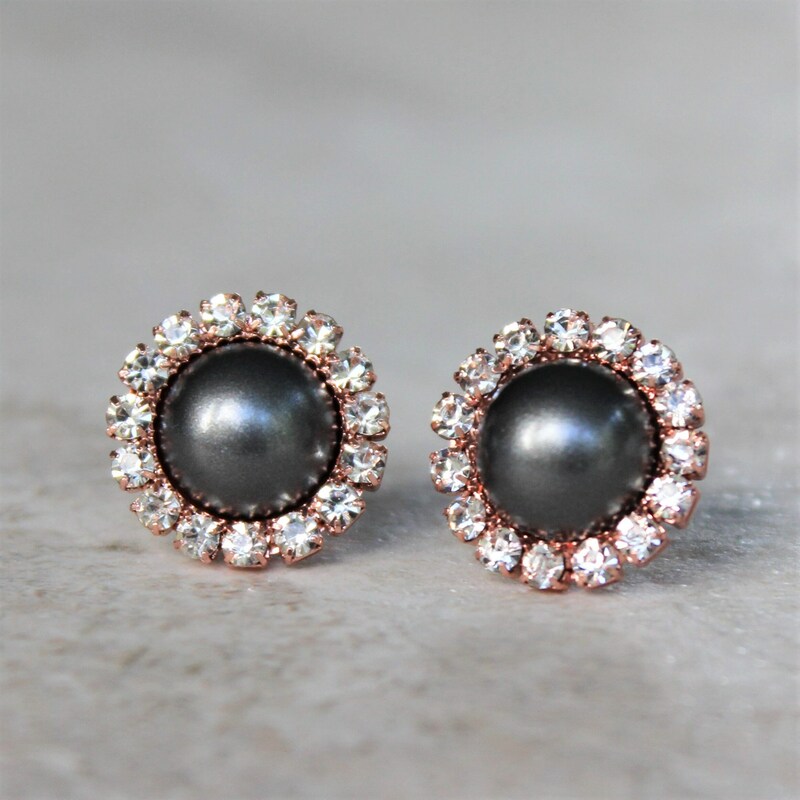 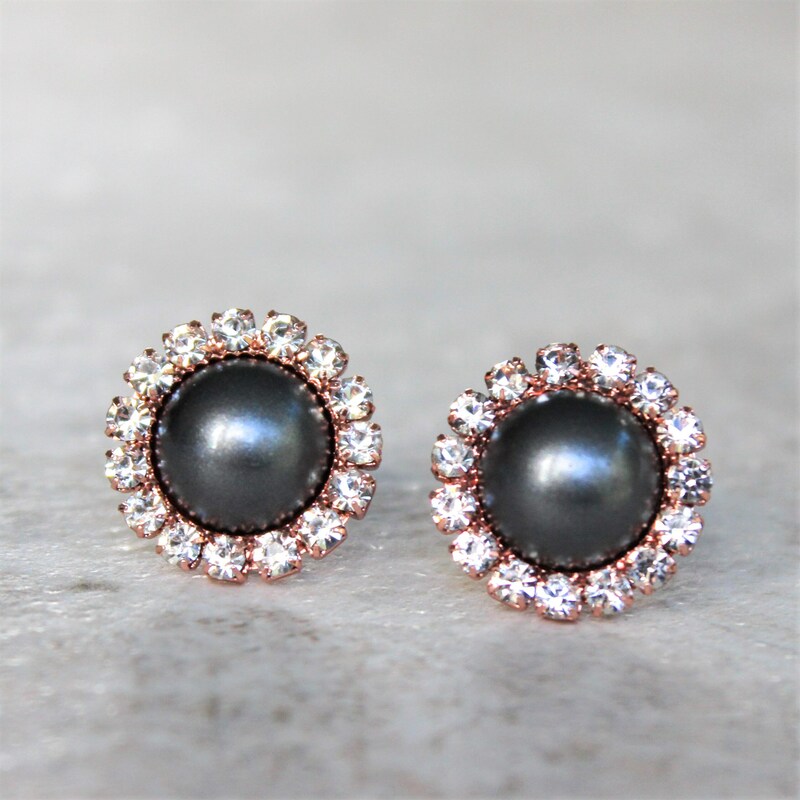 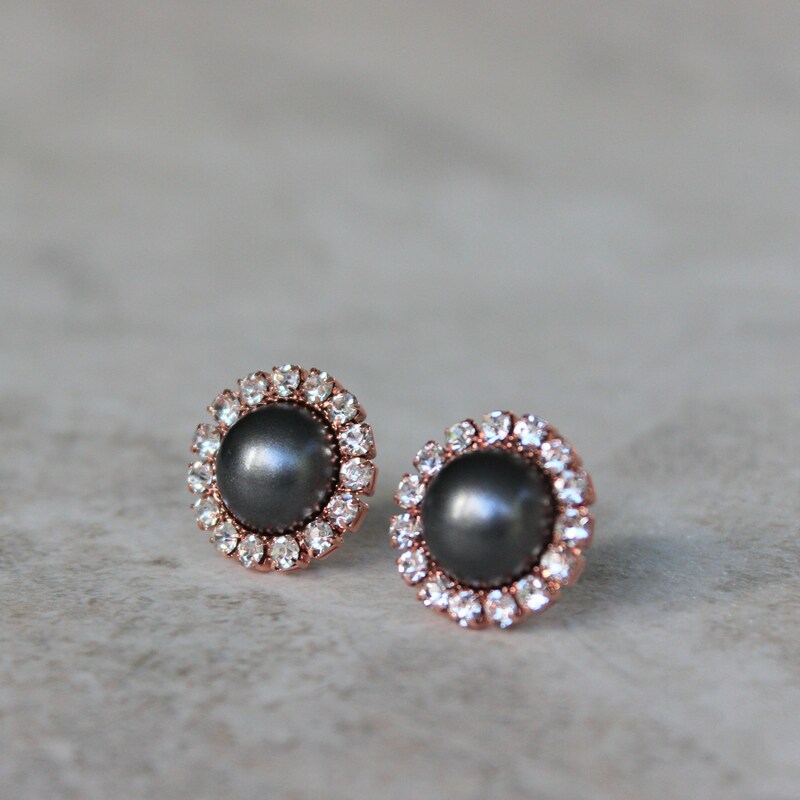 Shown in the beautiful combination of rose gold and dark gray, these earrings are perfect for bridesmaids! 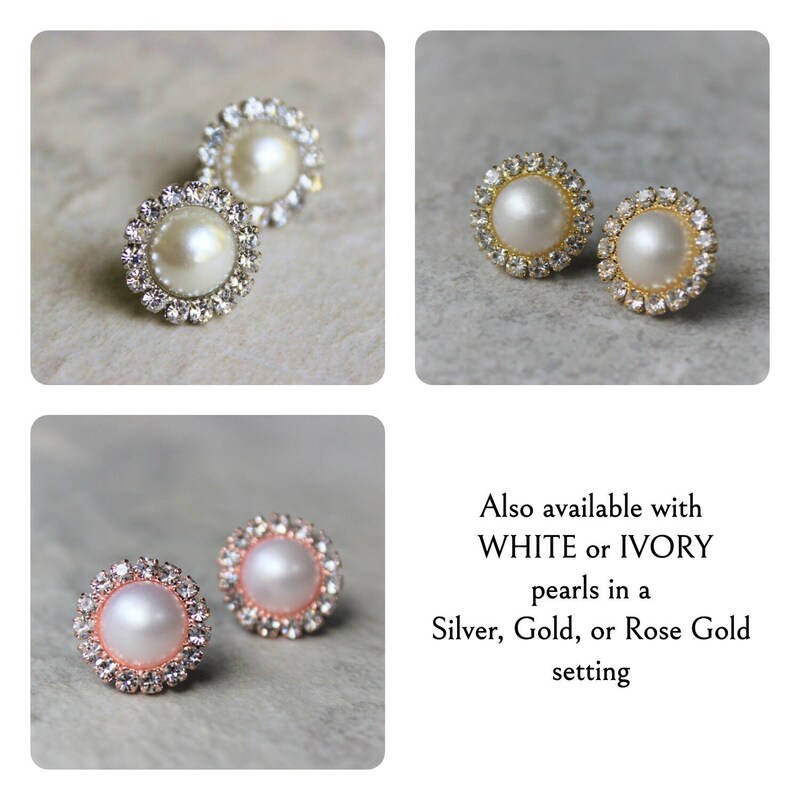 White or ivory pearls are also available with a silver, gold, or rose gold setting. 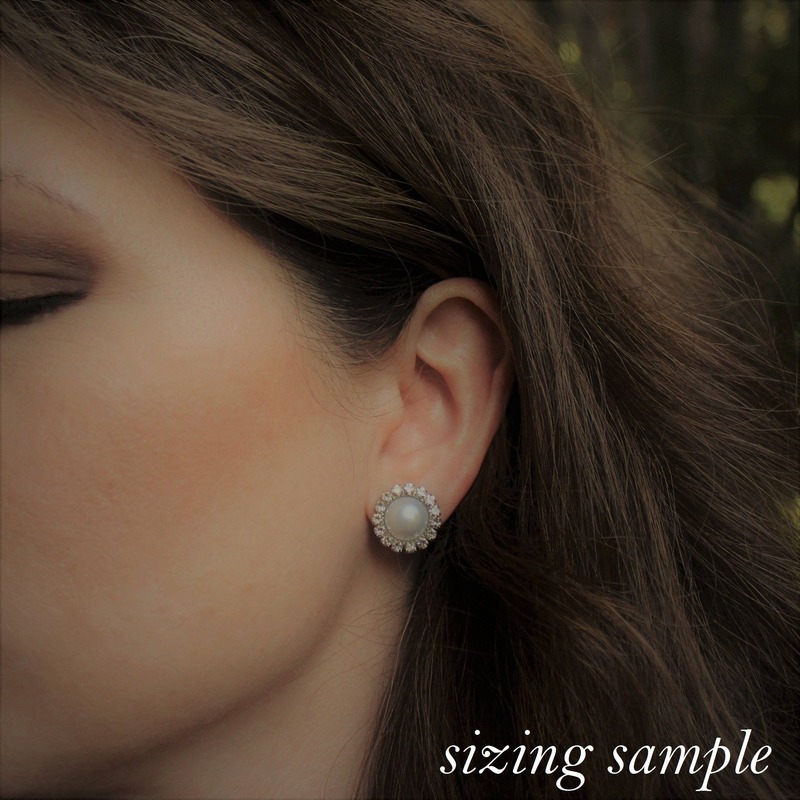 The earrings are 5/8" wide and ship in a cotton lined gift box with bow. 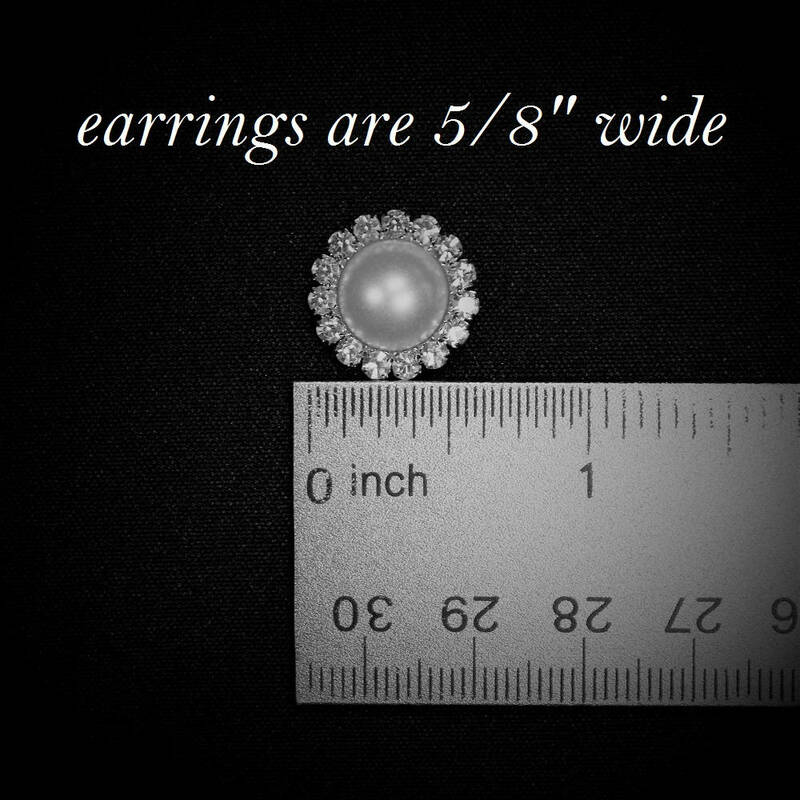 **If you need clip backings, you are welcome to leave a note during checkout. 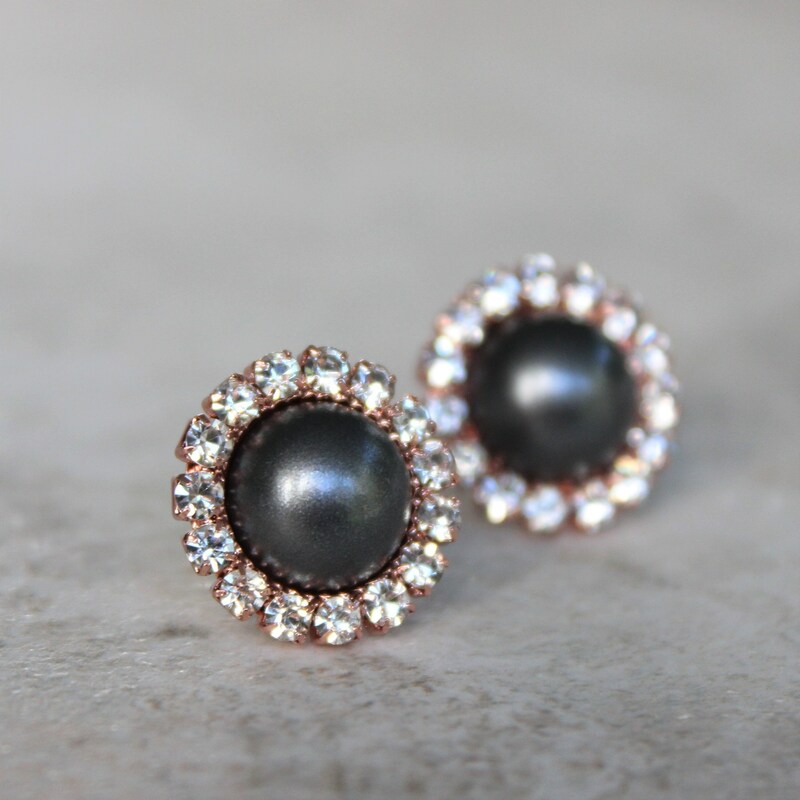 There's no extra charge.